This wonderfully flavoursome broth really does taste as good as home-made. Created using only the finest organic garden vegetables and nutritious barley, this vegan soup is low fat, free from cholesterol and dairy free. Eating a healthy, satisfying lunch has never been so easy and felt so good. 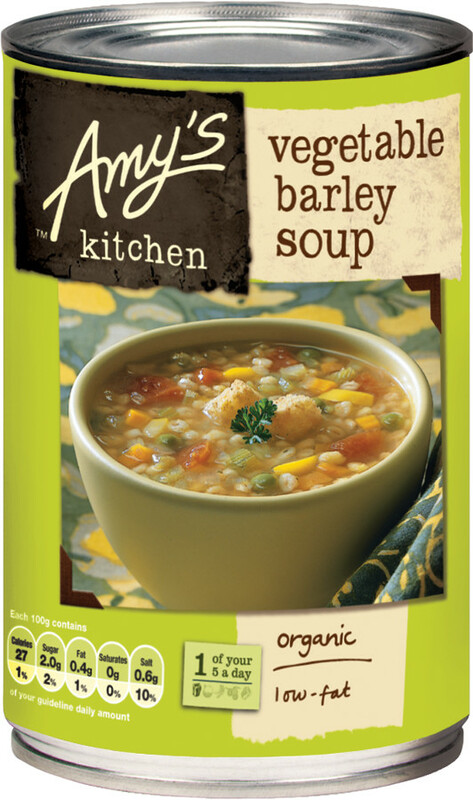 The Amy's Kitchen Vegetable Barley Soup - 400g product ethics are indicated below. To learn more about these product ethics and to see related products, follow the links below. 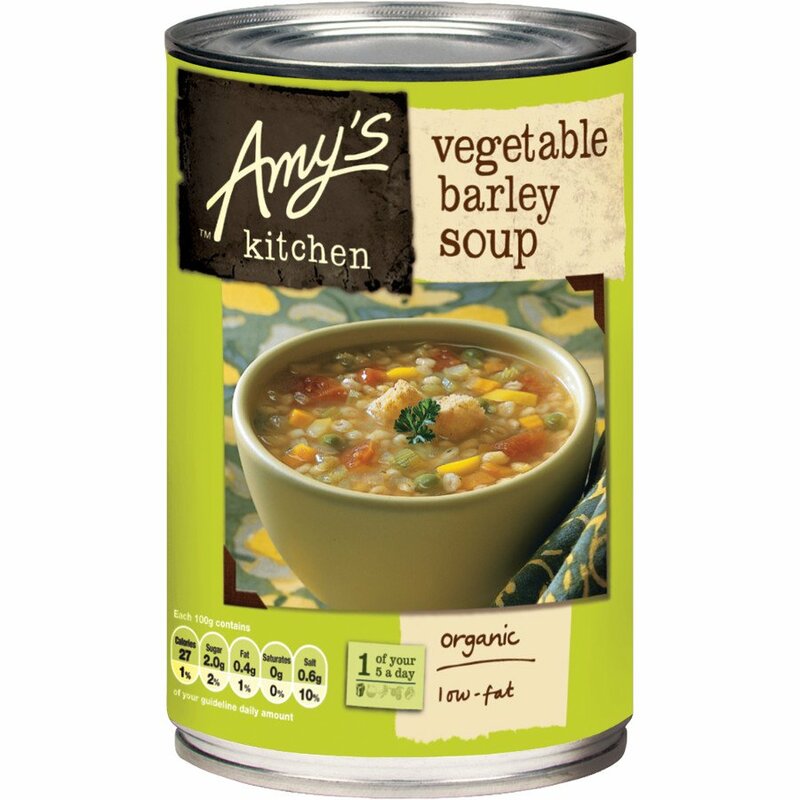 There are currently no questions to display about Amy's Kitchen Vegetable Barley Soup - 400g.